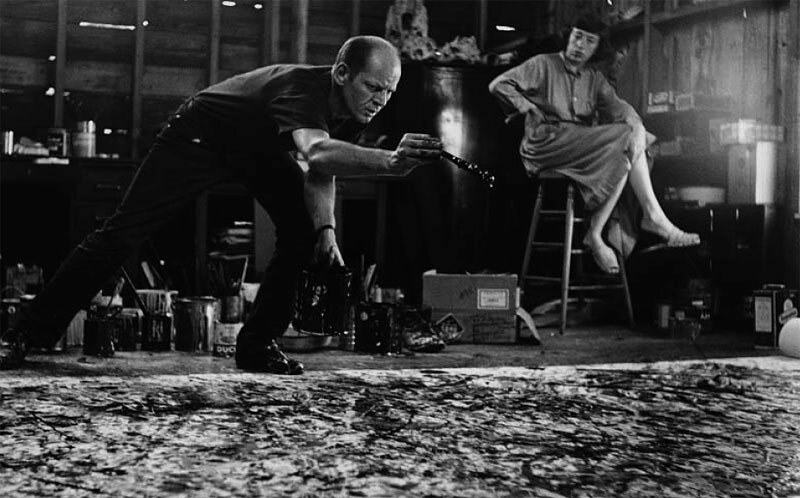 Most people have an opinion about Jackson Pollock. It’s not surprising that such a visceral technique would elicit strong responses both positive and negative. Whether you like his work or not, there is no doubt that he was one of the most significant artists of the 20th century. He was the first media star of the American art world and was at the forefront of one of the most significant art movements of the century. Within the post WWII landscape he represented the free wheeling endless possibilities and inherent potential of the future American experience. Though his paintings may seem simplistic to some, there are many complexities beyond the immediate. Embodied within are relationships of surface, space, time, motion and spirituality. 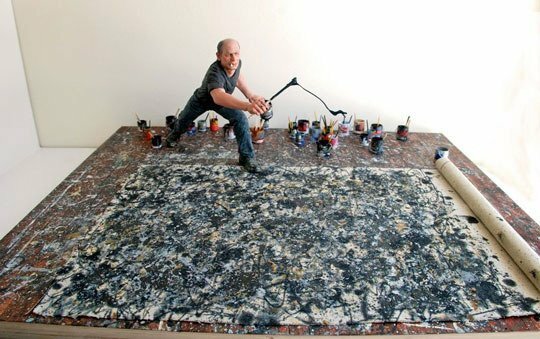 Pollock refined a large scale fluid applied painting technique on a horizontal surface ideal for investigating these relationships. 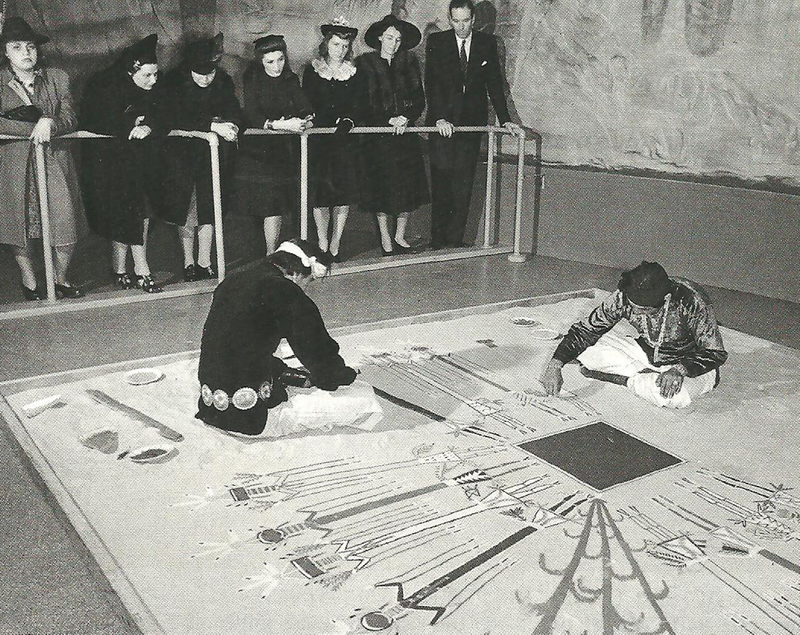 It is often stated that Pollock’s inspiration for his signature technique was a result of a Navajo sand painting demonstration he saw in New York. I feel that the dripping paint approach was the culminating result of a decision to place and work the canvas on the ground. Working on the ground is what he got from the Navajo. 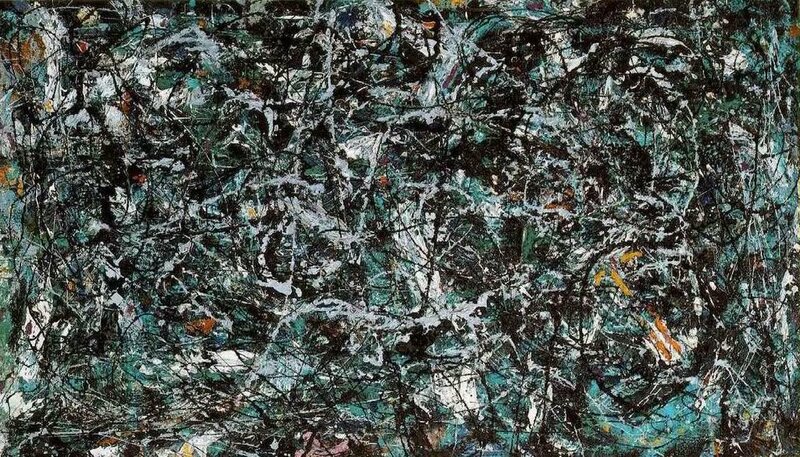 It is what makes the paint drip/toss possible; and what Pollock perfected. The act of creating a work on a horizontal surface, specifically on the ground, brings a unique perspective to the artist. The work commands its space in a way that enables more spiritual and ritualistic possibilities. The artist can approach and work the painting multi directionally. The possibility exists for the artist to literally inhabit the painting during creation. 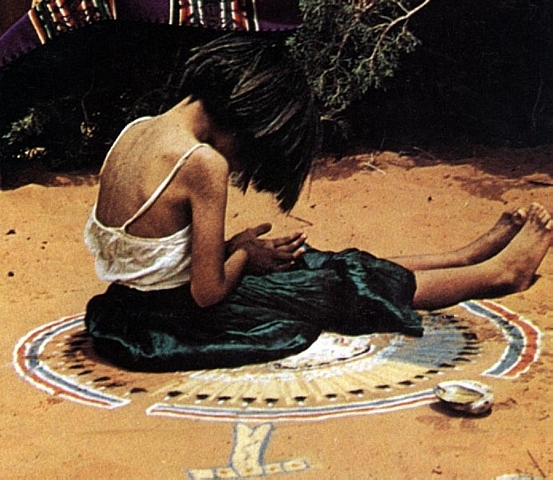 The Navajo used these ideas of inhabitation and multi directionality for ritualistic healing. An ailing or ill person would inhabit the space and it was believed that the sand painting would draw and attract positive energy and healing spirits from all directions. The transparency of the process allows the viewer the ability to readily reconstruct the act of creation. This gives the drip paintings an extraordinary immediacy. The paint layers reveal a timeline and celebrate the rhythmic dance like motions of the artist. The present is highlighted as the fixed reference point in the painting, and that emphasis is one of the hallmarks of modernism. The brilliance of its fulfillment in these works account in part for why so many of Pollock’s contemporaries saw the drip paintings as an existential watershed in the history of modern art.